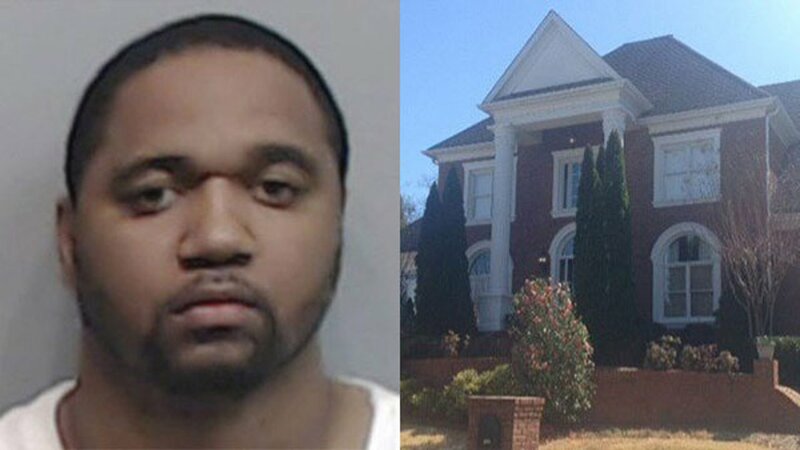 ATLANTA -- A man hired women to work as dancers inside a million-dollar mansion and threatened to kill at least one of them if she tried to leave, according to a 911 call. Officers helped eight women leave the home after the 911 call was made Tuesday morning, police said Wednesday in a news release. In the 911 recording, the caller cryptically asks the dispatcher for help getting out of a "bad situation." Under questioning from the dispatcher, the woman describes a boss who carries a gun, sent her to get plastic surgery, tells her she can leave anytime she wants - but threatens to kill her if she does. Kenndric Roberts, 33, faces charges of false imprisonment and trafficking a person for labor. He was in jail with an initial court appearance scheduled for Thursday. It was not immediately clear if he had an attorney who could comment on the charges. "What we believe is he was luring these women to this house with promises of either modeling careers or financial assistance. We're not 100 percent sure on that. The investigation is continuing," Sandy Springs police Sgt. Sam Worsham told WSB-TV. As the dispatcher learns more about what's happening, her surprise is clear, her tone at times incredulous: "Wait. Did you say you're in a house full of girls?" "Mmm hmm," the woman responds. "And somebody's threatening to kill you if you leave?" "Who's threatening to kill you? One of the girls?" The woman says she knows her boss only as "Ken something," that she met him online and that it initially seemed like a good situation because she could make money for dancing. When she arrived about a month ago, he sent her to get plastic surgery, she told the dispatcher. The situation quickly turned bad: "He's, like, so mean I just can't stay." She describes the home as "a very nice house" in a gated subdivision, with cameras inside. According to Fulton County property records, the two-story brick home measures 6,806 square feet and is valued at $976,300. Her boss also lives in the house, drives a lot of different cars and generally has a handgun with him, she told the dispatcher. Throughout the 14-minute 911 recording, the woman repeatedly says nothing illegal is going on but that she's scared to leave. "Does he know holding someone against their will is against the law?" the dispatcher asks. "He is so smart. He knows exactly what he's doing," the woman said. "He'll be like, 'You can leave whenever you want,' and then he'll, like, threaten you right after." There were seven other women in the home, she said, but she was the only one who wanted to leave. The woman told the dispatcher she was planning to run out of the house and call a car to come pick her up and take her to the airport because she had to catch a flight home to Orlando, Florida, that friends got for her. The woman asks the dispatcher to have officers pull up in front of the house and that she'll go out to meet them.